Jungle Red Writers: Mason and Poirot and Holmes, oh my! Mason and Poirot and Holmes, oh my! And now, he's undertaken a a task of the heart. Undertaken a project that brings tears to our eyes--we miss our dear Donald Bain and Renee Paley Bain so much. And Jon has accepted the challenge and the true honor of taking over their Jessica Fletcher books. SO. Take a deep breath. Remember. And give Jon a standing ovation. How much do you love Jessica Fletcher? Of course. But what other sleuths have captured our mystery loving hearts? The fabulous Jon has some candidates. 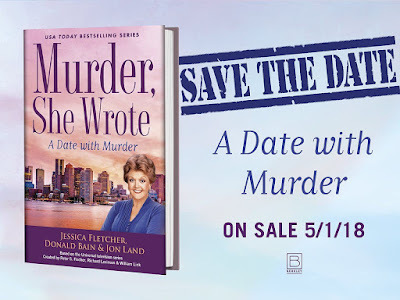 To celebrate the publication of A DATE WITH MURDER, my first effort writing as Jessica Fletcher in the MURDER, SHE WROTE series, let's talk about sleuths we love. Here's my list of my choices for Top Ten sleuths in pop culture history. SHERLOCK HOLMES: Arthur Conan Doyle’s seminal creation has been a pop culture phenomena ever since Basil Rathbone played him in those great black and white movies co-starring Nigel Bruce as Dr. Watson. The 18 books and dozens of short stories featuring Holmes had been wildly popular for nearly a century prior to that and adaptations, most recently starring both Robert Downey Jr. (film) and Benedict Cumberbatch (TV), continue to draw large audiences. The quintessential detective born of the equally quintessential series. HERCULE POIROT: David Suchet made for a perfect Poirot on the PBS series but these Agatha Christie classic mysteries (encompassing 33 books) have spawned several films, including two versions of Murder on the Orient Express. Poirot is considered by many to be the first and last word when it comes to detective fiction. His final adventure, Curtain, which featured Poirot’s demise, wasn’t published until after Christie herself died in keeping with her wishes. JESSICA FLETCHER: Okay, I’m a little prejudiced. But my first effort in the book series was number forty-seven overall. The series owes its existence, of course, to the fabulously successful television show starring Angela Lansbury in the title role. It ran for a dozen years, all but one of them among the top ten rated shows, spawned four TV movies, and is still enjoying a successful run in syndication on Hallmark Mysteries. Prejudiced or not, it’s safe to say that Jessica is America’s premier sleuth with a near 100% name recognition value. PHILLIP MARLOWE & SAM SPADE: The classic creations of Raymond Chandler and Dashiell Hammett respectively pretty much invented the hardboiled detective tale in both books and film. Who can forget Humphrey Bogart chewing up the scenery as Spade in The Maltese Falcon or as Marlowe in The Big Sleep. Practically every modern-day mystery writer, from Robert Crais to Robert Parker, claim Chandler and Hammett as their forebears and primary influences—with good reason, since the deadpan narratives and steamy dialogue hold up to this day in both books and film. PERRY MASON: Enjoy legal thrillers? They owe their existence to this splendid series of eighty books penned by Earl Stanley Gardner and a television show by the same name starring Raymond Burr in the title role that ran for a decade. The episodes, and the books, continue to hold up and the notion of a sleuthing lawyer and his entourage spawned the likes of John Grisham and Scott Turow, not to mention films like The Verdict and The Lincoln Lawyer (film and books by Michael Connelly). COLUMBO: What can I say about the rumpled detective famously played by Peter Falk that basically redefined the television mystery? It wasn’t a whodunit so much as how’s-he-gonna-catch ‘em, and Columbo never disappointed. The series invited the audience to play along, searching for the elusive seminal clue that would help the wrinkled trench coat wearer solve the crime in the final reveal. Episodes ran in various forms for an astounding 30+ years. In not a single one did Columbo ever draw his gun or lose his zeal. SPENSER: Robert Parker deserves much of the credit for resurrecting the hardboiled private eye in the person of Spenser (not first name), a tough guy with a heart of gold and one of fiction’s greatest sidekicks ever in Hawk. In all, 47 books have been published in the series with Ace Atkins taking the reins after Parker’s sudden death in 2010. The series spawned two different television adaptions, featuring Robert Urich and then Joe Montegna, that both made great use of the unique Boston backdrop. KINSEY MILLHONE: Prior to her death in 2017, Sue Grafton never did get to “Z” in her famed Alphabet Series. Unlike the entries that preceded her on this list, Kinsey never successfully made it to the big or little screen either. But that doesn’t stop her from arguably becoming detective fiction’s finest heroine ever. The light tone and familial backdrops made us feel comfortable in her presence, whether she’s running a bake sale, improving her marksmanship, or solving a murder. DAVE ROBICHEAUX: The brilliant series featuring this Cajun detective has won numerous awards and have led many to proclaim author James Lee Burke justifiably America’s greatest novelist. The rich tones, textures, and Burke’s brilliantly lyrical voice makes you savor every page, never wanting to flip the last one. And having Robicheaux’s best friend and protector Clete Purcell along for the ride just adds icing to the cake. Both Alec Baldwin and Tommy Lee Jones took their turn playing Robicheaux, but the language and atmosphere of the books didn’t transfer well onto the screen. Still in all, the series helped establish mysteries as worthy of being called literature. AUGUSTE DUPIN: Edgar Allan Poe’s forerunner of Sherlock Holmes (on which Arthur Conan Doyle admitted he based Sherlock Holmes) rightfully led to him being proclaimed the father of the modern detective novel. Although Dupin’s appearances are limited most famously to Murders in the Rue Morgue and The Purloined Letter, the form and structure of the mystery tale was established forever. Unlike Poe’s more horror-oriented tales, adaptations never caught on, even though none other than Bela Lagosi top-lined a 1932 version of Morgue, though not in the role of Dupin. I’m already starting to think of some of the names I left off this list. How about you? Who would you add? HANK: Ooh, a toughie. Harriet Vane? Morse? What do you think, Reds and readers? And a copy of Jon's first--and Jessica Fletcher's forty-somethingth--new book to one lucky commenter! 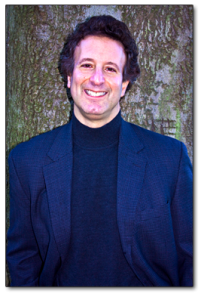 Jon currently lives in Providence, Rhode Island and loves hearing from his readers and aspiring writers. Congratulations on your new book, Jon . . . I’m looking forward to reading your Jessica Fletcher tale. What a great list of sleuths . . . perhaps I’d add Miss Marple. Nero Wolfe, and Ellery Queen . . . . Very good suggestions, Joan. And it's interesting that, little known fact, that Angela Lansbury portrayed Miss Marple as well as Jessica Fletcher! Hope you enjoy A DATE WITH MURDER and look forward to your thoughts. Congratulations, Jon What a daunting undertaking! Is there a limit here, as in fishing? Ha-ha, Ann, no limit from my end! You seen partial to European sleuths. I would only add to your list Chief Inspector Jane Tennyson from those wonderful PRIME SUSPECT tales originally starring the great Helen Mirren. Kinsey was my first and so will always have a soft spot in my heart. V.I. Washawski comes right on her heels - I love her feisty feminist politics, her love of dogs and of her ancient neighbour Mr. Contreras. Another early mystery friend for me was Mrs Pollifax. Later came the Reds' characters whom I love - Clare and Russ, Gemma and Duncan, Fina and family, Jane Ryland, Hayley...the list goes on. Thanks, Amanda! VI's love of dogs is kind of a staple for this genre in the sense that so many detectives have a trait, something like animals or food, that defines them. I see cats mentioned all the time and who's the mystery writer whose books are themed on recipes, cooking? Is it Dianne Mott Davidson? No Miss Marple? No Harriet Vane? Come on, let's give the ladies equal billing! Agreed, Edith. Women on the list, please! I was trying to come up with sleuths not yet mentioned. Miss Marple, of course. I once had a horrid meal in a pub in Nether Wallop, where the PBS Miss Marple series was filmed. I seem to see more women on TV series than in books. There's some great stuff on Acorn and Britbox, and what about Eve, on "Killing Eve!" So many names to consider! Have to admit I'm familiar with Eve. Wow, it is great to see Jon Land here. Jon was the first author I ever got the chance to meet. It was a downpour kind of rainy day when my father and I walked in the Barnes and Noble in North Dartmouth. Jon was there, promoting the fourth book in his Kamal/Barnea series. (A series I still lobby for a new entry in whenever I get the chance to see him). I listened to his amazing pitch to a few customers as I was walking around the store. Eventually I wandered over and got introduced to both Land and his amazing characters and writing. It was the easiest four book purchase I ever made. I loved the books and set about buying pretty much all of his books and attending various signings he would do in the area. I've got just about all of his books signed now and just love his work. I've given signed copies of his work to others as Xmas gifts in the past. From Jon's list, I've read Sherlock Holmes, Spenser and Kinsey Millhone and watched Perry Mason, Columbo, Jessica Fletcher and Hercule Poirot. I'm a huge fan of Spenser and like Jon, think Hawk is one of the best sidekicks in fiction. Of course, that was enhanced by the TV series with the fantastic performance from Avery Brooks (and Robert Urich too). I've got A Date With Murder here and it is the book that I'm currently reading. I am sure that it will be as thrilling an adventure as all of Jon's other books have been! Jon, I'll be looking forward to getting my copy of A Date With Murder signed the next time you do an area appearance. Nice to see you pop in here, Jay! You've given me an idea for my next list: great sidekicks. And, you're right, Hawk would definitely top the list and, man, was Avery Brooks perfect for that role or not? Wow! He was so much better than the actor who played Hawk in the second incarnation of the series when Joe Mantegna played Spencer. I'd also add Clete Purcell from the Dave Robicheaux books as a top of the list sidekick. Yes, Avery Brooks was perfect in the role. And when he landed the lead role on Star Trek Deep Space Nine, he didn't really fully get into the role until they let him shave his head again and he gave Benjamin Sisko some of that Hawk swagger! Also, the three seasons of Spenser are on DVD now so you can relive the adventures all over again. Oh, and I'm a regular commenter on the Jungle Red blog, being a huge fan of some of the writers and fast becoming a fan (and bankrupt) of those I hadn't read prior to coming here. I loved Robert Urich and Avery Brooks! Are those still available anywhere? Duh, sorry, Jay, should have read all the way through the comments. Thank you! Deborah, I believe they are available through Shout! Factory. I think that's the company that released them. Great list (but yes, more women!). Since Edith's taken care of that, I'll add Inspector Robbie Lewis and the "dishy" Sgt James Hathaway to my list. Got to plead ignorance again, Mary. I'm feeling very under-read this morning with so many great mystery heroes I'm not familiar with. Oh, my, yes. Hank's already mentioned Morse, one of my fictional heroes, but I also love Lewis and Hathaway. Jon, to be fair, Lewis and Hathaway are TV, not books. But they come from the great tradition of Inspector Morse. Debs, I feel a rewatching of "Lewis" coming on. I think all the seasons are available on Amazon Prime. I wish the first movie was, too. In addition to Sue Grafton's Kinsey Millhone, you've got to give nods to Sara Paretsky's V. I. Warshawski and Patricia Cornwell's Kate Scarpetta. All three broke ground in the early 1980s when mystery writing was an almost exclusively male endeavor. Sure, there was Dame Agatha to lead the way, but I remember friends who got shoved into writing romance because there was too much pushback in the publishing field for women to write mysteries--particularly the hard boiled variety. It's hard to remember now, but wasn't Sisters in Crime founded primarily because they wouldn't let women into MWA? Kinsey, V. I., and Kate were pioneering characters. Yes, I was going to add Kate Scarpetta, too. And of course VI Warshawski. Yes, Sara Paretsky is one of the founding mothers of Sisters in Crime, which is 32 years old and going stronger than ever. Women were in MWA, I believe, but they weren't getting nominated for Edgars or reviewed in the NYT. Paretsky and others decided to do something about it! Good for them! Many of my favorite mystery and thriller writers are women. Gigi: Great call on Kate Scarpetta, Patricia Cornwall's iconic creation. She would probably have been #11 on my list because those books were so ground breaking when they first came out. Often overlooked in the early women's private eyes ... Janet Dawson's Jeri Howard series started in 1990. Yes, remember the first Patricia Cornwell? Amazing! Groundbreaking. I'm partial to Temperance Brennan (from the books, but the TV show is a good variation). Temperance Brennan is a GREAT choice! You can't skip over Nancy Drew! And I'd want to add Diane Mott Davidson's Goldy Bear--she was the root of the rush to modern culinary mysteries. But Jon, we're dying to hear about what it's like writing for MURDER SHE WROTE!! Oh how I love Goldy Bear! Davidson is one of the reasons I write mysteries! Dying for Chocolate was one of my first forays into cozies! OK, I will confess here since it’s just us. I have never read one. Should I… Start now? Thanks, Lucy, and thanks also for. your mention of Nancy Drew. I love writing the MURDER, SHE WROTE books. This is just about the one year anniversary of my involvement and, I gotta tell you, when I first committed I really didn't know how much I was going to enjoy writing Jessica. But I was able to find her voice very quickly, in large part by channeling Angela Lansbury from the great TV show. So I think my take on the series skews much closer to the show than the previous books in the series. I hope that doesn't bother die-hard fans of the series who will see my taking the baton from the great Don Bain as an opportunity to revisit a slightly different Cabot Cove that is now suffering the pains of expansion, a theme I intend to exploit in coming books. I don't think a series should be static. I think there's room for growth even in a series as iconic as MURDER SHE WROTE and a character as recognized as Jessica Fletcher. Hope you agree after you've dug into A DATE WITH MURDER! Great lists, great characters--I'll add a call for more historical mysteries on the list--Brother Cadfael, Charlotte and Thomas Pitt, Hester and William Monk, Ian Rutledge, Bess Crawford, as well as those series whose characters are so keenly tied to a sense of place--Richard Jury, Evan Evans, Judge Deborah Knott..... so many fine books by great authors! And I never missed an episode of Murder, She Wrote for years. Speaking of historicals, what about Lindsey Davis' Marcus Didius Falco? Wonderful mysteries set in Imperial Rome. Oh, Gigi--a definite yes! Mystery and humor--I gobbled up all of those as fast as they came out! Fiora: I love historical mysteries. I might add THE NAME OF THE ROSE to the list there. MJ Rose has written some terrific ones as well, often centered on reincarnation and the paranormal. Check her out, if you haven't already. And David Morrell did an incredible Victorian trilogy centered around the real life Thomas De Quincy. I think you'd love those. Congratulations, Jon! I have a soft spot for Jessica Fletcher. Favorite sleuths? I'd add Jackson Brody. Kathleen Mallory. Of course Miss Marple, to whom Jessica Fletcher owes her pedigree. Rumpole. Definitely Jackson Brody, but there are so few of those books. Hi, Hallie, nice to see you again! I loved those old black and white movies starring Margaret Rutherford as Jane Marple. She owed that role in the same way Sean Connery owned Bond. And The Rumpole at the Bailey series on PBS was flat out brilliant. Never read the books, though. Vera Stanhope and Jimmy Perez! Margaret: Your raising Jimmy Perez raises the issue of urban detective tales and the use of more ethnic characters as heroes. Easy Rawlins, of course, comes to mind first, Walter Mosely's brilliant creation. Austin Camacho's done some terrific work here as well. So this is a whole sub-genre we should consider. I'm not familiar with Jimmy Perez but a Latino detective? That might be a first, right? Jimmy Perez is a police detective in the Shetland Islands, supposedly descended from a sailor in the Spanish Armada who swam ashore after his boat capsized. Ann Cleeves's second series. Yes, I agree with you about urban detectives, Easy Rawlins, and all the journalists turned PI (Bruce de Silva). Another favorite of mine: Martin Walker's Inspector Bruno, set in the Dordogne region. I agree that any list of this type needs more women and more diversity. I would add Tess Monaghan, Lindsay Gordan, Barbara Havers, Vera Stanhope, Roxane Weary (early in her career yet), and of course Armand Gamache! Well, admittedly, this a heavily British list. Certainly, Laura Lippman's Tess Monaghan is a must-read. Havers is the female part of Elizabeth George's duo, Vera (and her television portrayal) come to us from Ann Cleeves. Lindsay Gordan (Val McDermid) and Roxane Weary (Kristin Lepionka) are included her for LGBTQ diversity. Yes, Harriet Vane. Morse. Miss Marple. Barnaby from Midsomer Murders. Maisie Dobbs. Lady Georgie. Constable Evans. Molly Murphy. Precious Ramostowe. Isabel Dalhousie. The Mystery Woman (Hallmark Mysteries). Jane Doe (another Hallmark mysteries). Interesting, Diana, isn't it?, that so many classic sleuths are women as opposed to the thriller genre in which they are predominantly male. That trend has changed as of late with the "Wonder Woman Effect" having created a demand for female action heroes. Which makes me wonder what I scene between Jessica Fletcher and Caitlin Strong, my female Texas Ranger, might look and sound like! Something to think about, Jon! I think the Wonder Woman Effect is fairly recent? And I remember Jessica Fletcher was light years away from the recent box office success of Wonder Woman. I look forward to reading your Jessica Fletcher book. And I grew up reading Nancy Drew, which was created many years before I was born. And welcome to Jungle Reds! I said Harriet Vane! Absolutely! And I am in love with Eve on Killing Eve, will have to talk about that. And how about Jane Tennison? When the Brit Box people interviewed me, they had a quick quiz,and asked: Marple or Poirot? What would you all have said? Yes, Jon, you seem so fearless… Did you have a moment of wondering? Or… Maybe not :-) Was Don the first one to write the books? Thank you so much for being here today! Hank: Don Bain was the first and only to have ever written the books prior to my taking over, although he wrote several with his wife, maybe 40-46 or so. And that's a great question about if I ever wondered or came close to just tossing this opportunity because on the surface it didn't seem like me. But in this business, remaining relevant is such a challenge. And turning down opportunities like this is no way to remain relevant, right? When it comes to opportunities like this my approach is, "The answer is yes--what was the question?" Jon, we read this with surprise. Of course, my dad was not the first and only to write the books. I wrote three of them with him. But since you and Hank are really the only two people in the mystery world who did not write to me to offer condolences of my dad's passing, this does not surprise us. Jon Land's novels are captivating and memorable.His Israeli series was so well written and unforgettable as is his Strong series. Maisie Dobbs is my favorite. Her attitude and the era. Thanks ever so much for the kind words, Traveler! I'm so glad you've been following me for a while and will be very curious to hear your thoughts on A DATE WITH MURDER. Have you read STRONG TO THE BONE, the latest Caitlin Strong book, yet? She returns next April in STRONG AS STEEL. Hey, how about a book where she meets Jessica Fletcher!!!!!! Cabot Cove would never be the same if it got a visit from Caitlin Strong. Ian Rutledge, Gemma and Duncan, Maisie Dobbs, Vera and so many others. All of them are unique and special. Petite: Too bad I have to write so much or I'd have more time to discover all these great detective heroes I've never read before. Thank you, Petite! So nice to have Duncan and Gemma included! So many good ones already listed! I would add Peter Decker and Rina Lazarus, along with Peter's detective daughter, Cindy Decker. And how could we forget Arly Hanks in Maggody? Evan Evans, Molly Murphy, Amelia Peabody and her crew, Tess Monaghan, and the entire cop side of the Tony Hillerman stories. Sigh. I sure miss Arly and the hijinks in Maggody! And a big yes to Tony Hillerman! Karen and Flora: So glad you've both brought up Tony Hillerman. We lost him much too soon and his Native American-based tales are truly iconic and ground breaking. He has so many imitators who doesn't even realize they're initiating him! Oh there are so many! Nero Wolfe, Inspector Morse, Adam Dalgleish, Deborah Knott, Lynley & Havers, Vera Stanhope, Armand Gamache, Maisie Dobbs, Maura Donovan, Duncan & Gemma, Russ & Claire, Sam Kovak & Nikki Liska, Guido Brunetti, Tess Monaghan... I've got to quit and go to work, but I'll bet I could come up with another dozen for this list! What a great list, Susan! Wow, I forgot all about Inspector Morse! And Rex Stout doesn't get the credit he deserves. Hey, no mention of Ross McDonald's Archer yet or Mickey Spillane's Mike Hammer--both very influential in their own rights, not to mention Richard Stark's (Donald Westlake, actually) Parker character. Such exciting news!! Vera on TV, Brunetti and Gamache in books! I love so many of these smart, interesting characters! Barbara Havers! I am listening to "The Punishment She Deserves" -- it is a blockbuster. See my response below, Denise Ann. I entered it in the wrong place. I did not like Sherlock at all until I read Laurie R. King's series for some reason. Perhaps then he became human to me. Then, of course, the movies with Robert Downey, Jr. and the PBS series with Benedict Cumberbatch (that one made me fall for Moriarty, too). A fourth blog: the phenomenon of famous sleuths becoming second fiddle or background to a story. A fifth blog: when sidekicks hurt the story more than help. OK, I'll go away now. Don’t go away! Those are fabulous! PK: I'm dating myself here but for me Basil Rathbone was the quintessential Sherlock Holmes. Look, Jeremy Brett was terrific and Benjamin Cumberpatch has given the character a new spin. But for me those old black and white movies I used to watch as a kid will always define Sherlock Holmes for me. Others have played him as well, but I found those Robert Downey Jr./Jude Law films to be generally unwatchable. Also, PK, I love your ideas for blogs, especially the one when where the villains are really the heroes. We might add the whole nature of the anti-hero or "dark" hero to the mix, so prevalent in detective crime fiction and pretty much spawned by great noir movies of the 40s and 50s. Hey, speaking of which, nobody's mentioned the Thin Man series yet! Or Boston Blackie! And remember those great Charlie Chan movies starring Sidney Toler or Warner Oland? I think they were based on books but can't say for sure. I am so glad to hear someone else found the Robert Downey JR./Jude Law films to be unwatchable! My son and his friends gave me a lot of flak for that opinion. Great minds really do think alike!!!! I have not seen the Robert Downey Jr. Sherlock movies, but for me Jeremy Brett is MY Sherlock Holmes. I'm actually in the midst of rewatching the entire Granada series he starred in after buying the set when I found it brand new but cheaper than usual. Love the blog idea for "dark" heroes! I would include Dave Robicheaux and Matt Scudder - two on my favorites list - on this list. Other favorites:Kinsey Milhone (so sad that we won't see Z), Spenser, Jackson Brody, Gemma and Duncan. Great thoughts all, Pam. And how about Dennis Lehane? Nobody's darker than him and he has that great series with the male and female detective team, Patrick and Holly maybe? Which begs the question, Denise Ann, how well mysteries translate into audio as opposed to other genres. It's hard to go back and look, or listen, for clues we may have missed if we're playing along. Kind of like watching those great COLUMBO episodes trying to figure out how he's gonna catch the killer. What's that one clue out there we know we saw but somehow missed. I think that's why people love mysteries, like MURDER SHE WROTE, because they get to play along. That's also a big part of the fun in writing in first person instead of third and A DATE WITH MURDER is the first time I'd ever done that! Oh -- I go back with audio books!! Great question, Hank! I didn't really have to rethink as much as I thought I would. Once I got into Jessica's head and found her voice, it actually became both easier and harder: easier, because I only had to worry about a single POV and harder, well, because that meant I couldn't effectively get into anyone else's head. I had to rely on Jessica for every single impression, every single sense, every single word. It's a good thing "J. B. Fletcher" is so good at this stuff because she made my job a whole lot easier! Great point, Hank, but truth be told I let Jessica do the heavy lifting. I was lucky in that Don Bain had worked with his grandson on some early chapters of A DATE WITH MURDER which gave me kind of a running start and really helped me find her voice. It's one of the biggest changes readers familiar with the series have noted since Jessica is more introspective these days and A DATE WITH MURDER contains more internal monologue than is normal for these books--or maybe it's really about the same amount but since the stakes are higher than in previous MSW books, Jessica's thinking tends to be more pointed and speculative on what exactly is going on as she proceeds on her quest. One of the last things Don Bain ever said to me was that he was afraid he'd let Jessica turn into an old Victorian woman, that maybe his more recent titles in the series, written with his wife Renee, had lost some of the edge from the earlier books. Hey, after writing 46 of them, you'd expect things to get a little tired and it's amazing how these books have held up so well for so long. One of the things I really like from a marketing standpoint its that, unlike most thriller series, the MSW books really have no sequence at all. So somebody, a fan of the TV show maybe addicted to the MSW reruns on Hallmark Mysteries, can start with A DATE WITH MURDER and feel they're coming in at the very beginning. Which they kind of are anyway, since it's my first effort! I am rewatching the second season of M,SW right now. I love Jessica. I must admit that this is the first of the novels I've actually read. Really enjoyed it, too. So great to catch up with old friends. That's wonderful, Mark, just great! I'm rewatching the first season now, just about to dig into the classic MURDER ON THE BUS, the one where a dozen strangers are stranded by a storm and start getting knocked off one at a time, leaving Jessica to figure out who the killer is before she ends up his/her next victim. One of my upcoming books in the MSW series will actually be my own personal version of the Agatha Christie classic, TEN LITTLE INDIANS. Only the setting is going to be Cabot Cove's Hill House during a massive blizzard. I'm contemplating one of the great twist endings in mystery fiction history, so stay tuned! Oh, tentative title: MURDER OF TWELVE! How's that for information available only to visitors to Jungle Red Writers! The Jessica Fletcher TV series was something you rarely see anymore - fun for the whole family. I remember watching it as a young teen with my mom and grandmother, and we all enjoyed it. I'm happy to know it continues in book format with the talented Jon Land at the helm. And speaking of the helm, there's one thing in every Jessica Fletcher episode that makes every New Englander tear their hair out: during the credits, the sun sets into the ocean. That doesn't happen on our side of the continent! Julia: This is such a brilliant comment because I'm utterly amazed on how many fans of the show I hear from who echo your comments about how watching the original broadcasts or the reruns has been a cross-generational affair. A number of those who've reviewed the book have said how it brought back so many happy memories of them sitting on the couch next to their parents or grandparents, solving the mystery along with Jessica. I think more than anything that accounts for why the reruns are so incredibly popular. The nostalgia they stoke is incredible, but this was also a very well written show that remained solid all the way through its run. More than anything, I want people who read A DATE WITH MURDER to get that same feeling. Jon, huge congrats on the book and welcome to JRW! I don't have much to add to the lists above (did anyone mention Scott & Bailey? ), but I'd love to hear more about writing J.B. Fletcher. Did you watch the series when it was on? And were you an outliner or a pantser when writing this book? See my response to you below, Ingrid. I must've plugged it into the wrong box. How about Midnight Louie, Carole Nelson Douglas' detective cat? or Judge Dee? or Travis magee, Doc Ford, or Tai and Trey? So many choices, I feel like I should mention all the Reds People too. Thanks for those who already did. I tend not to read books based on television or movies. I am going to make an exception with A Date with Murder. Coralee: I'm actually shocked it took so long for someone to mention Travis Magee. John D. McDonald's seminal hero in many ways came to define the more modern detective, living down there on a houseboat in Longboat Key. That might've been the first series to take the detective out of his normally staid, urban nature and plop him down in the real world. There might be no Doc Ford if there hadn't been a Travis Magee, or plenty of other detectives for that matter. Ooh, Doc Ford and Tai & Trey are among my faves, too. So glad you got them onto the list! I was so upset when Hurricane Irma took out my original Travis paperbacks. Peeled siding off the house? it okay. No Travis? sobbing. That series in paperback helped usher in the new era of mass market publishing, essentially replacing the old pulp "dime" novels. I think the first Travis Magee books were sold for something like 99 cents. I grew up on Doc Savage and the Executioner series which were probably published around the same time, or maybe a little before. These books helped change publishing forever, along with that great branding that placed a color in every title. Does anybody know how that happened? And here's a trivia question: Who was the only actor to ever play Travis Magee in a feature film. Don't cheat now, everyone! Rod Taylor. I am a huge fan of all things Travis. Bravo, Coralee!!!! The film of course was DARKER THAN AMBER, highlighted by that incredible fight scene at the end where Rod Taylor battles William Smith, who went on to play the villainous Falconetti on RICH MAN, POOR MAN. Thanks for the interest, Ingrid! I did watch the series, especially in the early years, and it would rank it right up there with COLUMBO as the best TV mystery series of all time. As far as process goes, I am definitely a pantser. It's interesting but I was afraid when I started this series that process might not transition well from writing mysteries to writing thrillers but I think it even works better, though I've had to rewrite the climaxes of both A DATE WITH MURDER and the forthcoming MANUSCRIPT FOR MURDER (to be published on November 5 and available for preorder now) because each took Jessica in a direction more fitting for my Texas Ranger Caitlin Strong character. When you're a pantser, you need to have a great editorial team on your side to keep you between the lines and I am blessed with a GREAT team at Berkley in Michelle Vega and Jennifer Monroe, not to mention the legendary Tom Colgan. Writing is truly a team effort and, although I write spontaneously, my editors and I vigorously map out the general parameters of the story in advance. What happens from there, though, is anybody's guess! Hi, Jon! It's always such a treat to have you on JRW! Although I am horrified to admit that I never watched MSW (where was I???) but Jessica is familiar enough to me that I'm really looking forward to your take on the series. As for favorite detectives, so many great ones have been mentioned but I haven't seen Peter Wimsey! Lord Peter was my absolute first detective hero. See my response below. Again, I forgot to use the REPLY button! Oh , me too! I had such a huge crush on him! No mentions either of Edward X. Delaney from Lawrence Sanders' terrific Deadly Sins books. I think Sanders, for all his fame and fortune, was underrated as a mystery storyteller. He also penned the Arch McNally series and a couple others. You might call him Stuart Woods before there was Stuart Woods, but I don't suspect Stone Barrington is going to show up on anybody's best detectives of all time lists! 100 comments so far--not too bad! I'm going to sign off for a few hours to head out to the gym and will log back on here as soon as I'm home. So keep the comments and responses coming and I'll respond to all as soon as I get home. Been great visiting with everyone and will see you all again soon. That's another great thing about writing this series: two books every year with MANUSCRIPT FOR MURDER being next up in November! Hank, you weren't kidding when you said "if you can catch up with him." And, of course, you and Jon share that in common. Jon, I do wonder how you fit it all in, but I guess the old adage of if you want something to get done, give it to a busy person applies here. Congratulations on taking over the Jessica Fletcher series. It looks like most of the names I can come up with to add to the list have already been added. Miss Marple was my first thought. And, there are so many contemporary authors writing characters worthy of the list, many whom I read are already mentioned. I would add Julia's Russ and Clare and Rhys' Lady Georgie, as other Reds' authors I would add have been added. I would also add Elly Griffiths' Ruth Galloway, who is already a fixture in England and becoming more and more so in the states. Terry Shames' Samuel Craddock is a great Texas sleuth addition. And, there are so many other contemporary characters I could add and I know I've left out. So many! It’s lovely to hear, right? Kathy: Your mention of Texas and points south also makes me think of those great Joe Landsdale mysteries that were adapted by Sundance channel. And Craig Johnson's wonderful Longmire mysteries that have made such a great TV show. Interesting that modern-day Western settings make for great mysteries! OMG, David, that's a GREAT choice! I grew up on those books, started reading them in junior high based on a teacher's recommendation. I think MONDAY was my favorite book but the first in the series (forgot the day and title) was the best mystery. Kudos, my friend! Was a big fan of MSW tv series but somehow never read the books. So many of my favorites have been mentioned in other's comments, including the JRW characters, so no need to list again, enough to echo my agreement! One addition, quintessentially British village, is Hazel Holt's Sheila Mallory mysteries....must be consumed with a pot of tea and biscuits. How exciting for you Jon to climb right inside Jessica's head and bring her to life on paper again! Oh, that’s a new one for me! Thank you! Thanks for the good word, Helen! It was truly a labor of love because I didn't try to imitate what already been done, but instead conceived Jessica as I remember her from the television show. I believe the books are still cozies, just with a harder edged with more emphasis on the mystery and following along with Jessica as she gets to the bottom of things. So many wonderful sleuths. I can't think of any to add. Congratulations on your new endeavor, Jon! Thanks, Jenn. Please let me know what you think after you've dug into A DATE WITH MURDER. Congratulations and thanks for continuing this fun series. I would have to include Miss Marple and many of the newer sleuths...Flavia de Luce, Inspector Gamache, Maggie Hope, Maisie Dobbs, Clare and Russ, Duncan and Gemma, Charlotte McNally, Jane Ryland...oh so many. Interesting, Cheryl, that so many of your choices have appeared above. The other thing they have in common, is that with the exception of Jane Marple, I've never read any of them. As I mentioned above, I'm feeling very un-read today! Ah, late to the party. Just two favorites who may have been underrepresented here: Sergeant Cluff , of The Moonstone fame. Set up as a stooge--but far from it. I love Wilkie Collins. And there is always Adam Dalglish. I'm in love with that man! Has anyone tossed in Max Tudor's name? G.M. Malliet's books have been added to my must-read-immediately list. Hi Jon, I'm catching up on some Jungle Red articles from the last week and love when my favorite authors come together! I'll always remember you visiting our class to teach the art of writing "interesting things happening to people/characters that you care about". Thank you for taking up the mantle and continuing the series. I hope you have a lovely summer filled with beach walks and docile dobermans. PS You should use your high school grad. photo from time to time on the jacket art/bio - few people have such excellent hair! Did you learn QWERTY without looking? Train, plane, automobile... given a choice? Roz Nay Won't Be a Secret for Long!